While the leaves are falling (bringing new food to the life which will spring from the vernal pools next year) join us on Saturday, November 2, to tour the Sawmill Wetlands Education Area. Children of all ages can also try their hand at Archery with educators from the Ohio Division of Wildlife. A fascinating collection of ancient Native American arrow heads and Worthington Libraries books will also be on display, along with backyard habitat info from Wild Ones Columbus, OH and National Wildlife Federation volunteers. The wetlands will be open from 10 am to 12 pm. Come explore the ever changing environment at the Sawmill Wetlands. 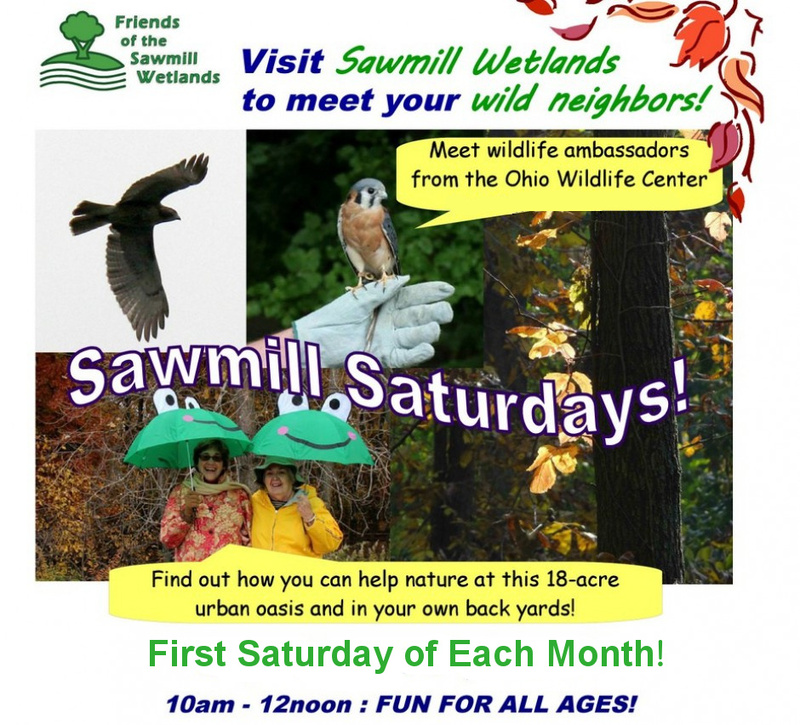 ← Enjoy fall at the Sawmill Wetlands October 5th! !